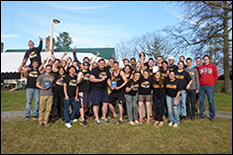 The Department of Civil and Environmental Engineering’s (CEE) Concrete Canoe and Steel Bridge teams took the 2015 American Society of Civil Engineers (ASCE) Mid-Atlantic Regional Competitions by storm, placing first overall in both team competitions and second in the technical paper competition. Held at the Pennsylvania State University’s Stone Valley Recreation Area, April 10-12, this year’s competition showcased the University of Maryland ASCE’s competitive spirit and incredible attention to detail as both teams received great praise for their technical presentations and displays. 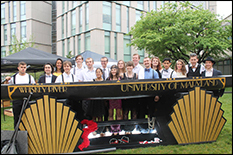 In commemoration of the 140th Preakness Stakes, the Concrete Canoe team’s showcase was unlike any other – from the artwork on the canoe itself to the iconic University of Maryland “M” floral display on which it was affixed during portions of the competition. Under the leadership of project managers Phil Izzo (CEE, ’15) and Craig Lampmann (CEE, ’15), and faculty advisor Assistant Professor Brian Phillips, the team celebrated a strong performance in the races, but even higher marks in the technical and presentation categories. The Steel Bridge team also went to great lengths to make sure no workmanship details went unnoticed. The team earned first place in both the construction economy and structural efficiency categories, which measure how quickly the team can build their bridge and how well the bridge can handle loads, respectively. Perhaps most impressive of all is how far both teams have come in such a short period of time. 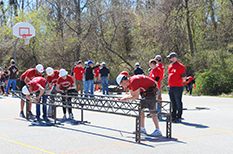 2015 marked only the fifth year in which the University of Maryland had an official Steel Bridge team, said Ross Jespersen (CEE, ’15), one of the team’s project managers. Fall 2014 graduate Emily Krizz (CEE, ’14) and CEE undergraduate Adam Healey served as the team’s other two project managers this academic year. 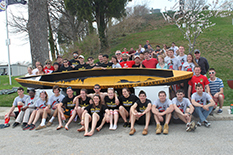 While UMD’s Concrete Canoe team can be traced to earlier years, the team celebrated a restart in 2008-09 following a hiatus. Schneider himself celebrated an impressive win at Pennsylvania State as he took home second place in the technical paper and presentation competition, which this year focused on whether or not the Engineer of Record “should be held responsible, to any degree, for injury or death to builders or bystanders that occurs during the construction of his/her design.” Schneider is no stranger to the competition, endowed by Society past president Daniel W. Mead and established to provide an opportunity for alert young civil engineers to further their professional development and gain national attention. 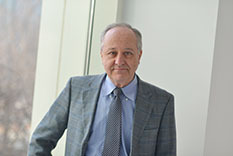 Schneider took first place in last year’s competition for his paper and presentation about a civil engineer’s responsibility in natural disaster planning. 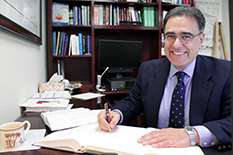 Video of Schneider’s 2015 presentation is available online. 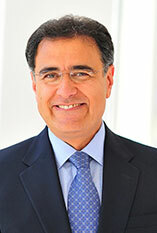 Schneider stressed the fact that there are many benefits to participation in the Concrete Canoe and Steel Bridge teams that stretch beyond competitions. 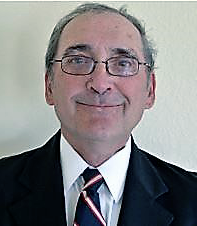 In fact, Steel Bridge team leaders even encourage as many members as possible to gain experience with welding, Jespersen said. This is made possible, in part, by the support of Steel Bridge sponsor Earlbeck Gases & Technologies, which offers a class through which UMD Steel Bridge team members can get their first taste of welding experience. “Perhaps more important than the skills and lessons learned is the fact that both the Concrete Canoe and Steel Bridge offer opportunities for engineering students to make new friends and develop relationships with both underclassmen and lower classmen,” Schneider added. The 2015 Steel Bridge team proudly participated in this year’s national competitions, held at the University of Missouri-Kansas City, May 22-23. The Concrete Canoe team also made a strong showing in the team's first nationals appearance in 12 years. 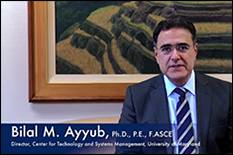 this time, held at Clemson University. 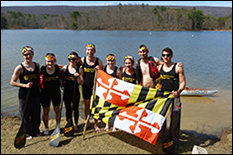 UMD's team performed especially well in the "Design Paper," "Final Product," and "Men's Slalom/Endurance Race" categories, finishing 12th, 13th, and 10th, respectively. 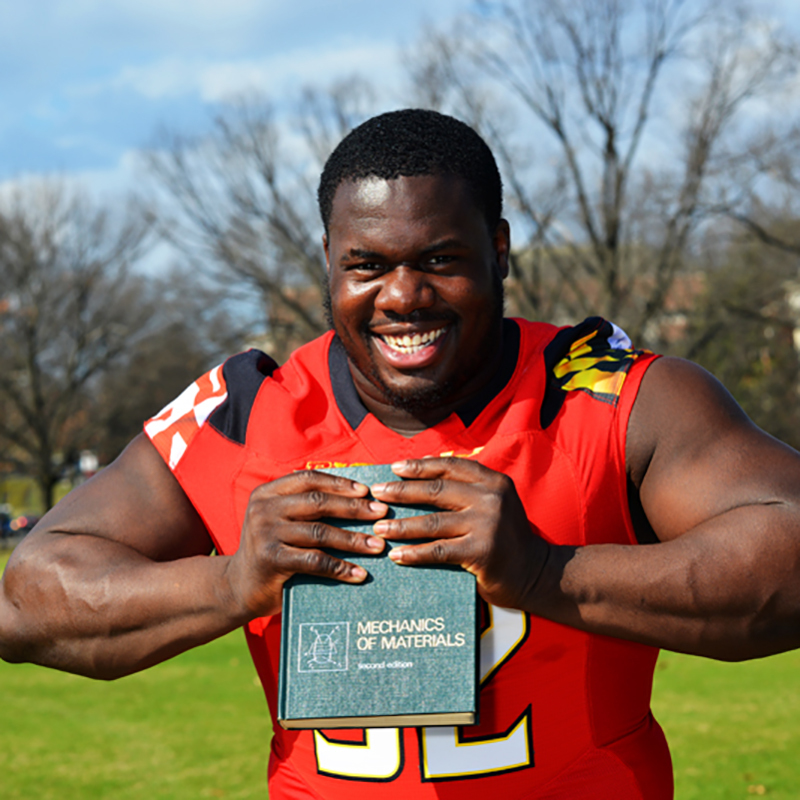 View the full gallery of photos from this year's Mid-Atlantic Regional Competition.